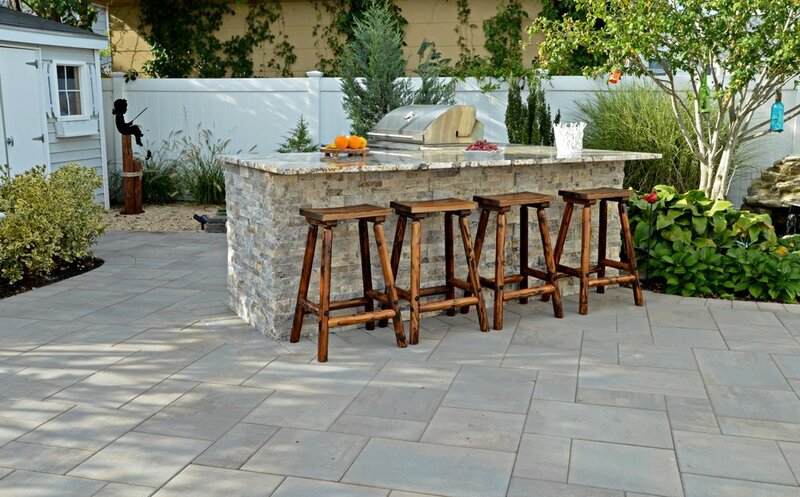 Tucked on Long Island, this dynamic and charming hardscape design speaks worlds to the power of a creative and well-balanced layout. Featuring areas for cooking, serving cocktails, dining and swimming, guests and family flow seamlessly from space to space with a feeling of intimate comfort and coziness. 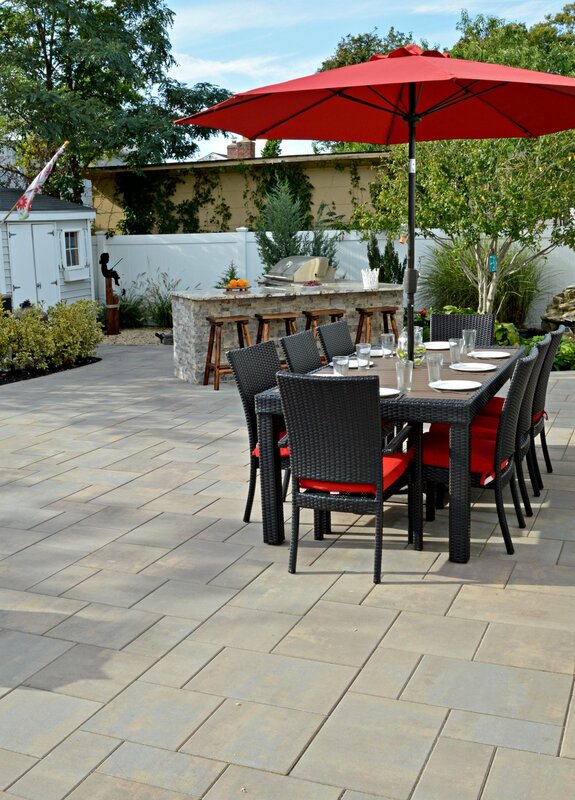 Unilock concrete pavers provide the smooth, elegant tone at the base of the patio and poolscape, while touches of soft gardens and trees add pops of color and natural balance. Both the shape of the pool and placement of the serving bar creatively utilize the area while leaving open areas for guests to mingle and lounge. This complete overhaul transformed the Long Island property into a calming retreat for rest, play and conversation.